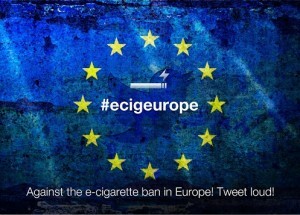 In May 2017 the Tobacco Products Directive will come into force. This regulation was created in the EU parliament by un-elected officials, voted through by MEP’s and coincided with a massive increase in lobbying spend by tobacco and pharmaceutical industries. However as this was enacted into UK law in May 2016 the recent Brexit vote to leave the EU will not effect this current legislation, only a repeal of the law in UK parliament would change the current situation. This is an update to the article: “Electronic Cigarettes in 2016 – How E-cig UK regulation is set to change the way you vape” which received hundreds of thousands of views and hundreds of comments and shares. To recap, here are some of the regulations and restrictions that must be complied with for the e cigarette regulation for 2017. Maximum refill containers can not exceed 10ml. Aside from the increase of environmental waste from all these extra plastic bottles, this will increase e liquid cost as packaging makes up a significant part of the cost of production. Maximum nicotine strength of 20mg. A blow to new users who are coming from a heavy smoking habit, 24mg was a common strength to help initially kick the cigarettes. The biggest effect will be on the DIY market, where high strength nicotine concentrate of up to 72mg/L was commonly used to mix your own juice. No “end consumer” can purchase nicotine base liquid in strength over 20mg/L and bottle size over 10ml. Maximum tank capacity of 2ml. 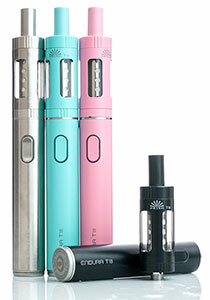 Say goodbye to a lot of the high performance and “sub ohm” vaping tanks and a massive reduction of product choice. Expect only a few compliant tanks to be available and to be refilling them much more often. Product approvals, Packaging requirements, customer notifications and data reporting. Some of this is welcomed by the industry to increase quality control and safety, however much of this is already done voluntarily by reputable retailers and manufacturers. Costly product registration for each and every product variation (each variation of strength and flavour) will massively reduce e liquid choice and new flavours brought to market. Extra business costs for compliance will ultimately lead to increased cost of products for the consumer. So 2017 will be the year of change for electronic cigarettes in the UK. Expect a massive shake up of the industry with smaller businesses shutting down, a massive reduction of product offerings and increased costs across the board. At CigElectric we have been preparing for compliance for over a year and are well positioned to adapt to the changes. We will be selling our 30ml e liquids until the 19th of May and hope to have all our popular flavours available in 10ml size after that, unfortunately our 24mg strength will be discontinued. We will be selling our highly popular EU compliant Endura T18 starter kit and EU compliant iClear clearomizer range along side other high quality and compliant tank options. We recommend stocking up on your regular products well before the 20th of May as there may be a rush due to customers stockpiling in preparation for the ban. We would really appreciate if you could share this article as much as possible as there are many e cig users who are unaware of the upcoming changes to the UK vaping laws and regulations. Welcome to the February newsletter from CigElectric! We hope you all had a great January and good luck with those New Year resolutions! This month we wanted to address a recent study claiming vaping can lead to smoking and harms current smokers’ chance of quitting, an e-liquid promotion and re-stock and a round up of all the other e-cig news from January. Welcome to the September newsletter from CigElectric! Thank you to all our new and returning customers for the month of August. This month we introduce some amazing new products, a massive 20% discount on 10ml e-liquids and a round up of all the news from August including a very important announcement from Public Health England! Thank you to all our new and returning customers for the month of June. Summer is finally here and to celebrate we are offering a 15% discount on all starter kits! Why no take this chance to upgrade or grab one for a friend or family member. Of course as always a round up of all the other e-cig news from June. Welcome to the May newsletter from CigElectric! Thank you to all our new and returning customers for the month of April. This month we have an important announcement about 30ml e-liquid price changes, a special discount offer for all existing customers, updated stock and accessories for Aspire Nautilus tank users, and a round up of all the other e-cig news from April! Welcome to the April newsletter from CigElectric! Thank you to all our new and returning customers for the month of March. This month we introduce the all new iTaste MVP 3.0, we are bringing back the original e-liquid tops due to customer feedback, and a round up of all the other e-cig news from March! Welcome to the March newsletter from CigElectric! Thank you to all our new and returning customers for the month of February. This month we have an e-cig starter kit promotion, an extension of our re-stock discount and a round up of all the other e-cig news from February!